Democrats' own diversity of opinions presents big challenges to 2020 candidates. Democrats already have the most diverse field in presidential primary history – with more declarations pending. But some of the party’s own diversity of background and opinions are presenting candidates with their biggest challenges in the early phase of the 2020 campaign. Rather than training their fire on President Donald Trump, Democrats are caught in thus far unresolved arguments over the fate of three top elected officials in battleground Virginia. Some of their energetic freshmen, such as Rep. Ilhan Omar, one of the first Muslim women in Congress, are making the kinds of mistakes that require denunciation. Others are providing big new potential political targets in the policy realm. The record number of female candidates, meanwhile, has revived discussion of double standards and unfair treatment of women who run for office. 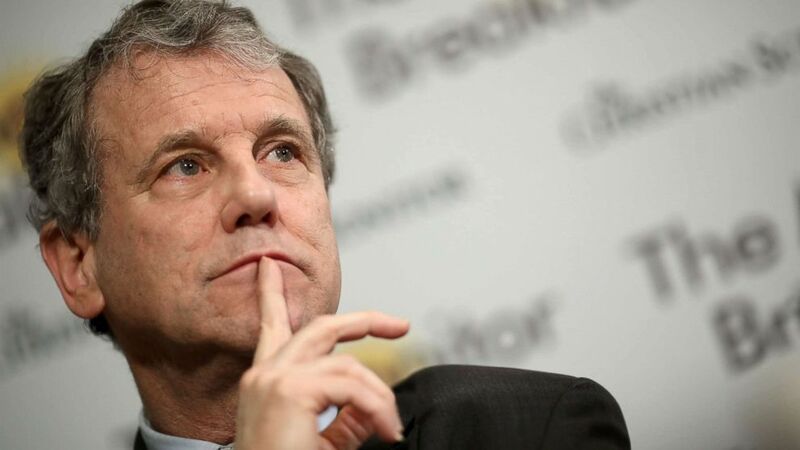 Sen. Sherrod Brown, a potential candidate who is separating himself from other possible rivals by declining to endorse some progressive policy goals, is expressing concern that Democrats are being forced to confront questions of candidate treatment and fairness all over again. (Win McNamee/Getty Images) Sen. Sherrod Brown answers questions during a breakfast roundtable, Feb. 12, 2019, in Washington, DC. These are bars Democrats have set for themselves. But that doesn’t make them any less important to clear. Congress might have a funding deal on border security for now, but the parties still lack clear consensus on comprehensive immigration reform moving forward. Fencing and some detention beds are dealt with this in the new compromise. Democrats kept the president from building his wall, but DREAMers are left in limbo as well as refugees here in the country with Temporary Protective Status. (Stephanie Keith/Reuters, FILE) People participate in a protest in defense of the Deferred Action for Childhood Arrivals program or DACA in New York, NY, Sept. 9, 2017. Many of those young people brought to the country undocumented by their parents have long said they did not want to be bargaining chips in all of this. Members of Congress seemed to agree that a deal should be limited in scope. 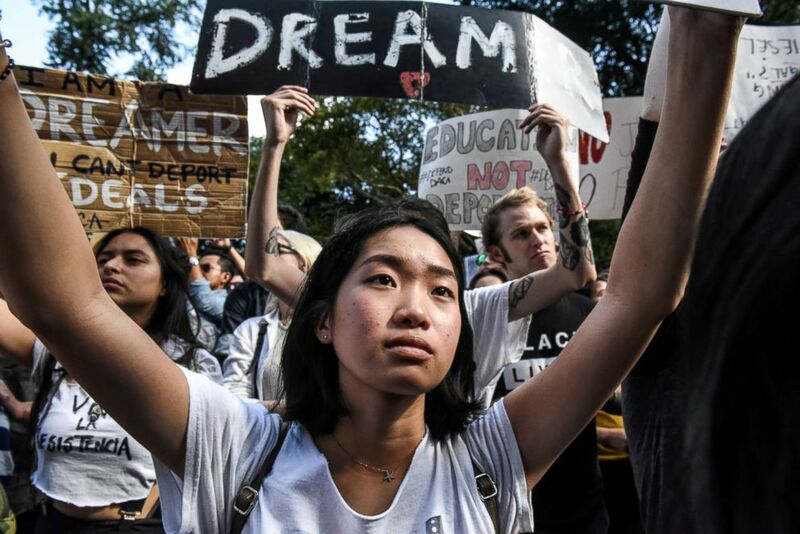 Still, poll after poll has found that a majority of American support providing a long-term pathway for those DREAMers, especially after President Trump and his team said they were ending the program that allowed them to apply for legal protection and status. A political organization aligned with conservative powerhouse Charles Koch is bringing DREAMers to the Capitol Wednesday to continue to urge lawmakers to find a permanent solution. Senate Majority Leader Mitch McConnell’s promise to bring progressive Democrats’ “Green New Deal,” up for a vote in the U.S. Senate is political gamesmanship, pure and simple. 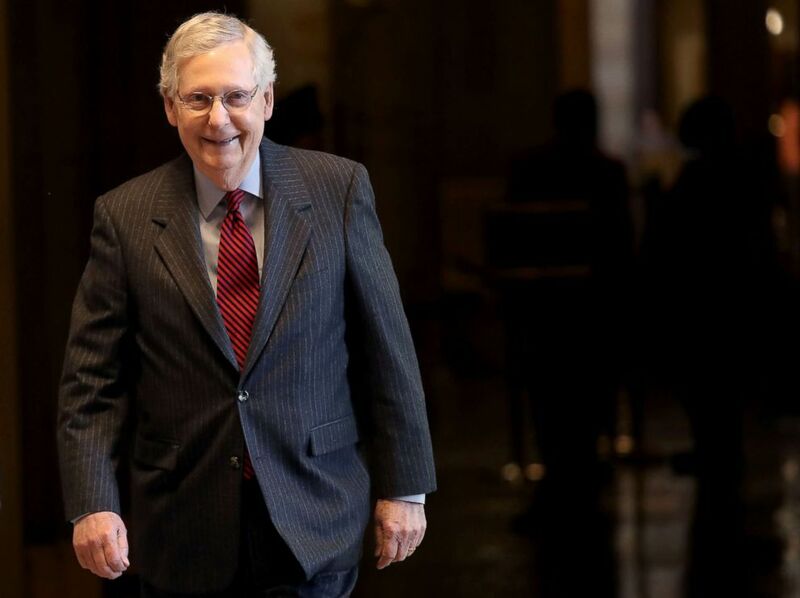 (Win McNamee/Getty Images) Senate Majority Leader Mitch McConnell walks to the Senate floor, Jan. 31, 2019, in Washington, DC. But just because McConnell and most political observers know it is destined to fail does not mean a growing number of Democratic senators eyeing 2020 bids will have to put their voice on the record concerning a proposal that has energized the party’s base. While candidates like Kamala Harris, Cory Booker, Elizabeth Warren and Kirsten Gillibrand hoping to curry early favor with progressive wing of the Democratic Party, potential 2020ers like Ohio’s Sherrod Brown are more lukewarm on the proposal. Brown told reporters Monday he is not going to take a position on the “Green New Deal,” championed by New York Congresswoman Alexandria Ocasio-Cortez, just because “some people with a lot of big ideas are proposing,” things like that. McConnell’s show vote may just be a political gambit, but it also may provide Democratic voters with an early blueprint of where their presidential field stands on a key issue. President Donald Trump and first lady Melania Trump meet with the President of the Republic of Columbia and Mrs. Ruiz Sandoval at 12:10 p.m. in the Oval Office. Later, the president delivers remarks at the Major County Sheriffs and Major Cities Chiefs Association Joint Conference at 3 p.m. in Washington. Vice President Mike Pence arrives in Warsaw, Poland, and meets with Polish President Andrzej Duda. Democratic and Republican leaders of the House hold their respective weekly press conferences at 10 a.m. in Washington. The House Armed Services Committee convenes for a hearing at 2 p.m. on Military Service Academies’ action plans to address the results of sexual assault and violence reports in Washington. Presidential candidate and former U.S. Rep. John Delaney attends the ‘Concord Pancake Breakfast,’ a town hall, meet-and-greet, roundtable and discussion in New Hampshire on Wednesday. Howard Schultz, former Starbucks CEO and author of "From The Ground Up: A Journey To Reimagine The Promise Of America,” continues his book tour in Philadelphia at 7:30 p.m.